Follow up qualifying team. Finished 11th Place, 4 spots better than the previous year. Athletes included #5 fastest 3 miler in OHS history Tracy Cahill (14:43/ 15th place All-State). 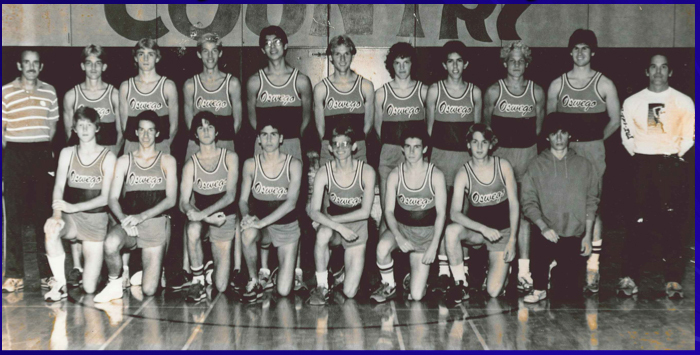 OswegoPDT History: 1985- The best in Oswego High School history. Our highest finish ever ending 5th in State, 1st Regional Title in Cross Country, and adding to the total with our 11th Consecutive Conference Win. 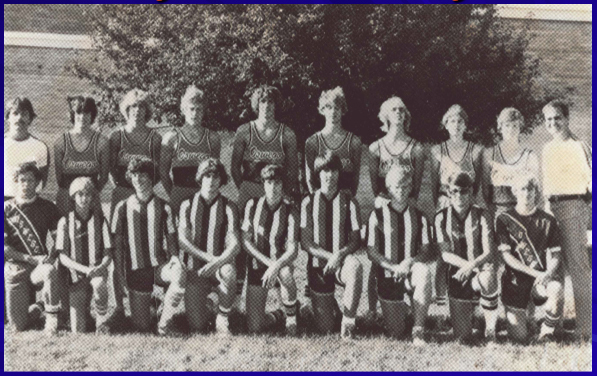 This team had on it Jeff Henry, number 6 on the OHS Record board with a time of 14:51 (11th place All-State). Also he is the school record holder in the 1600m in a time of 4:12.4 earning him 1st at the State Track meet that spring. 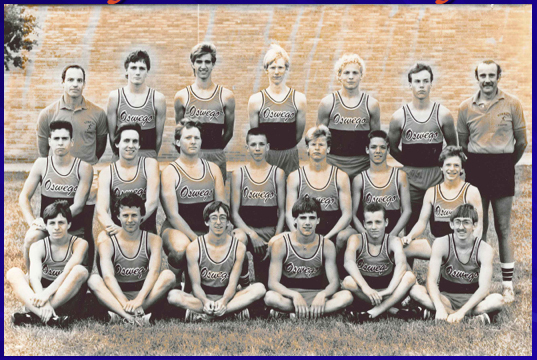 Oswego PDT History: 1986- Back to back qualifying years. Conference Champions for the 5th consecutive year, back to back Regional Champions, only the second time in the team's history. Finished 11th in State. Members of this team just came off a track season which saw a State Champion in the 1600 with a new school record, a school record in the 800, and a new school record in the 4x800m relay. All 3 of these records still stand to this day. Oswego PDT History: 1987- Three years in a row! State meet finish was 12th. Conference Champions for the 6th consecutive year. This team saw one of it's members, Ben Wolf, finish the State meet in a 14:42, finishing 9th overall. This time ties him for 3rd fastest 3 mile ever run in OHS history. 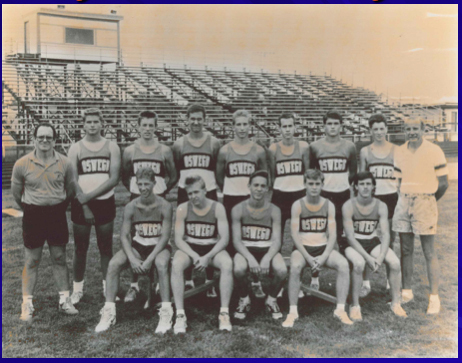 Oswego PDT History: 1991- Finishing the season 10th in the State, this team also won the schools 17th Conference Championship, back-to-back from 1990 and was the last team in our team's history to earn a Regional title putting that total at 4. 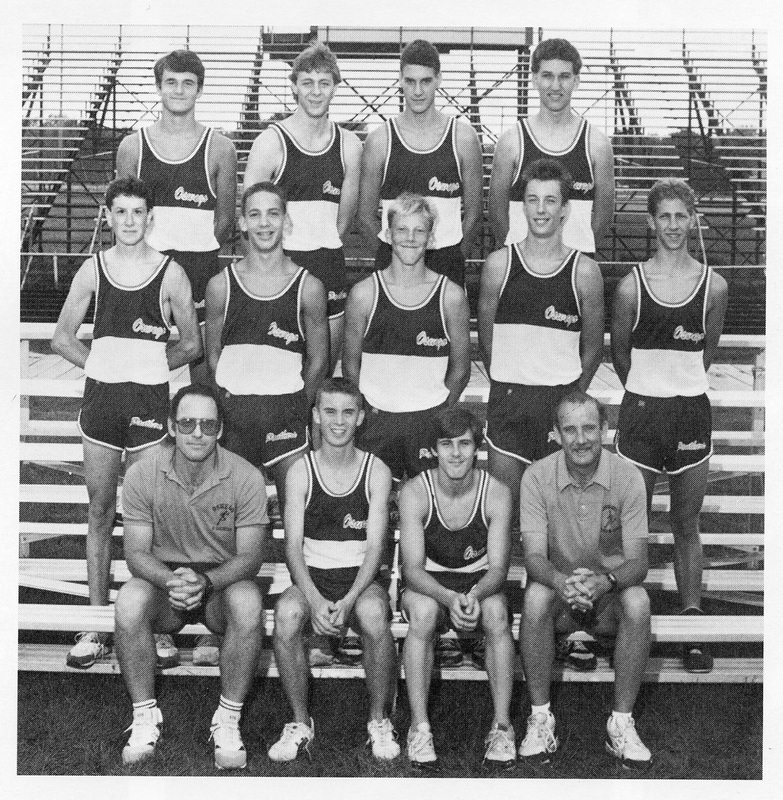 Craig Pazton led the team that year finishing All-State at 21st place in a time of 15:31. 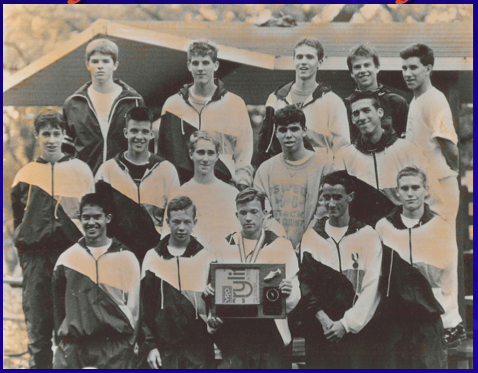 Oswego PDT History: 1994- Finishing in 8th place at the State meet, this is the last year that Oswego High School had a team represent them at the Cross Country State Championships. 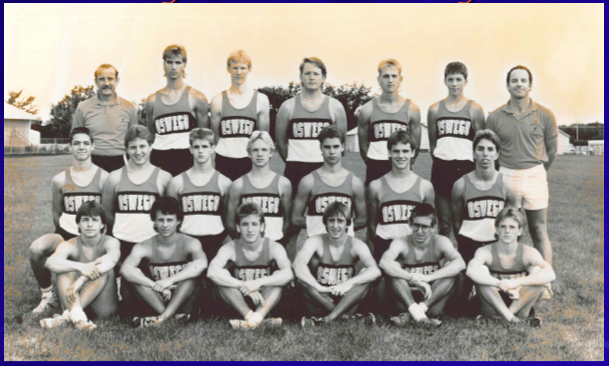 Dean Shaw led the team finishing All-State in 6th place in a time of 15:17 on a Detweiller course with snow on it.